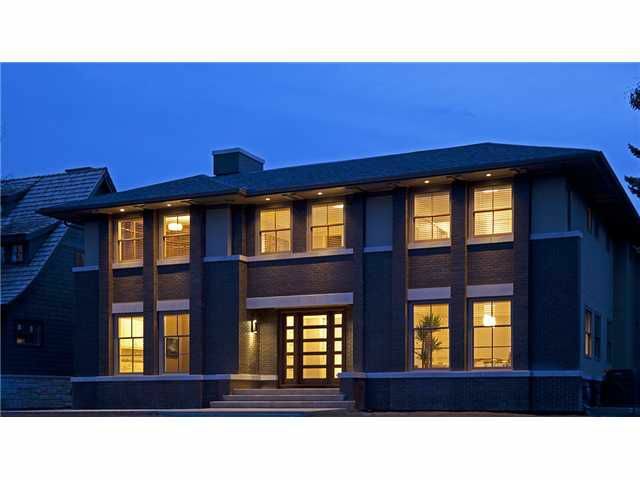 Exquisite custom built executive home on a quiet interior location in sought after Elbow Park. Ultimate luxury throughout all 3 levels with extensive walnut built-ins. The Chef's Dream Gourmet Kitchen has a full range of Empire exclusive home products. The elegant living room has a gorgeous marble surround gas fireplace flanked by matching walnut built-ins. An incredible master retreat with separate dressing room and lavish 6 piece marble ensuite. Additional upper level bedrooms are of ample size, all with ensuites. Entertainment at its finest is what you'll find in the lower level with an incredible wine cellar, media room with symphonic sound system, wet bar and rec room with one of a kind gas fireplace. The oversized 3 car garage can be accessed through your very own private underground passage connected to the mudroom. No detail has been overlooked in this Empire Custom Built Home. Reserve your private viewing today, you will be totally captivated.